A man asked a Jesuit priest, "What is the definition of spirituality?"" The priest answered, "Spirituality is that which is closest to yourself." At another event, the same man asked a Buddhist priest the same question. The Buddhist priest responded, "Spirituality is your deepest self." Eventually, the man asked this question to several other spiritual leaders from many different beliefs. The man received the same answers from them all. Thus, it seems safe to say that spirituality is who we are and what we want at our deepest levels. Put another way, spirituality can be defined as what gives meaning to our lives and who our authentic selves are. The search for authenticity and meaning leads to the question, what is spiritual coaching? Finding our authentic selves and the meaning of our lives is often difficult. It is usually made difficult by the things we learn and are taught about how to act in the world—which is a form of modern-day survival. For example, have you been taught and learned how to survive? Of course, you have. You probably have a decent job, you may have a loving family; you may even be happy the majority of the time. We are also taught to use these things as good measures of survival. On many levels, it is true that feeling we are loved, that we are secure, and that we have some control over our lives gives us a pleasant feeling inside. And it is true that for many people, those pleasant feelings give life some meaning. And yet if you are feeling lost, confused, or down, no amount of love from another person, no financial security, no control over your life will fix the negative feelings you're experiencing. This is when having a guide to walk with you can be helpful. How Does Spirituality Coaching Work? Life coaching is essentially asking meaningful questions that open up deeper layers in one’s life. Spiritual coaching takes it a step further, by asking questions that reveal the most important things to and for you. A spiritual coach will be a guide for you, as you search out the beliefs that you hold most dear and the things that bring meaning into your life. Unfortunately, the things that we enjoy the most and that define who we are frequently stay hidden beneath all the layers of survival that we automatically do in our daily lives. A caring, spiritual coach will aid you in finding your authentic self and purpose. He or she will do this by asking you a lot of questions that are intended to help you see the subtle areas of your life which may be hidden from your conscious awareness. With your permission, the coach may offer to give you reflections of yourself about what you are saying and how you are acting. The purpose of this reflection is to further bring into your conscious awareness the hidden or subtle layers that hint at who you are and what you want. Additionally, those layers may be hiding possibilities that open your world to new and meaningful beliefs and purposes. A spiritual coach will not give you unsolicited advice. They will not diagnose or analyze problems or offer solutions—that is beyond the scope of coaching. Those dynamics are better suited for a trained therapist. Instead, an active spiritual coach will ask questions that help you find the answers within yourself. You are looking for your answers. The coach is merely a guide and companion along the path. This process may feel uncomfortable because it requires you to take ownership of your life. The reward for struggling through that discomfort is that you can form your life from the foundation of your dreams instead of the automatic reactions you have learned. The goal is to create your life your way. When you own your life, you give yourself the most significant gift you can give. It means you are creating your own life's meaning instead of relying on the meaning and purpose that others may have insisted on. 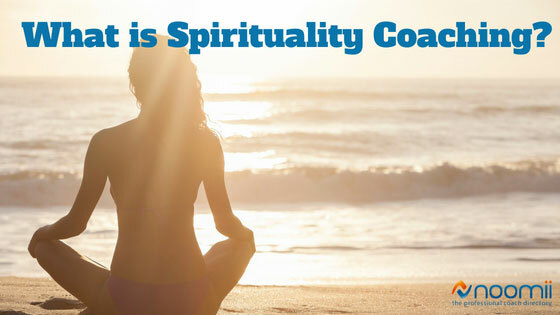 What are the Benefits of Spirituality Coaching? How Long is the Spirituality Coaching Process? Coaching is not generally a one-size-fits-all process. Each person will need different amounts of time to process all the information that they learn about themselves. That process is under your control. This means that you determine the length and frequency of your coaching experience. In my practice, I usually recommend that clients start with sessions once a week for the first few weeks. The weekly sessions give the client a chance to learn the coaching process and begin the simple awareness exercises I use to help uncover the subtle layers in people’s minds. After a few weeks, the client usually increases the time between sessions. They generally do this once they have learned how to uncover the hidden layers and how to move compassionately beyond them. When we have sessions, the sessions are about exploring and further unpacking the layers of thoughts and emotions that hold the client back from moving in the direction they want to go. In your coaching experience, make sure you feel comfortable with your coach and their coaching style. Coaches all have different styles on how they interact with their clients. If you do not feel safe enough to establish when and how frequently you talk with your coach, it is a good time to find a different coach. As uncomfortable as it may feel to hear or say, the coach works for you. How do I Find the Right Spirituality Coach? Interview as many coaches as you can. The more coaches you interview, the more you'll learn about what you want in a coach. Noomii will recommend anywhere from one to five coaches for you, and it’s a good idea to have a free consultation with all of them over the phone. You'll learn what questions are important to you. Remember those subtle layers? You'll begin to see some of them as you find the right coach for you. Exchange several emails with each coach. Get a feel for them over the course of a few days. How patient are they? Do they seem genuine in their interest about you? Do they give you tools that can benefit you even if you haven't hired them yet? Get their coaching policy sheet or price schedule. Will they work with you on price if you need it? Read their Noomii profile and if the coach has a website, read it. Once again, this is more of "getting a feel" for the coach. Do you trust them? Do you feel they want you to succeed? How do you feel about each coach? Find out if the coach shares a similar belief system as you. If they do not, but you feel comfortable with them, can you work with them and their belief vocabulary? It's not necessary that they have the same belief system as you; it is necessary that you can feel secure, even with the differences. Additionally, sometimes a different belief system can be helpful, as it gives you a broader view of possibilities. Noomii is the world's largest directory of life coaches. That means if you're looking for a great coach, spirituality or otherwise, you'll be able to find many on Noomii. More importantly though, is Noomii's attitude and beliefs. They genuinely care that you find the right coach for you. When you're on a journey of discovering who you are and what you want, there is an excellent team of people here to assist you any way they can. When you're on the most personal journey of all, the search for authenticity and meaning for your life—the spiritual journey, in other words—you will find dozens of coaches here that specifically aim to serve as the best guide possible. Please remember, a coach only points you in a direction towards your dreams. You have to do the work. You have to make the trip for yourself. It's your life; take this opportunity and begin creating it to be the life you want it to be. Noomii has hundreds of spirituality coaches in dozens of cities. Browse our directory of spirituality coaches or submit a personalized coach recommendation and let us find some potential coaches for you! This is a post written by spirituality and relationship coach Blair Ashby. LOOKING FOR A SPIRITUALITY COACH?